I first arrived on my yoga mat in 2010, taking a 90-minute “Intro to Hot Yoga” class in sweatpants and long-sleeves and lived to tell the tale. I had always been interested in fitness. This latest adventure was -- at the time -- an antidote to a high-stress job and a new way to move my body after an extended love affair with long-distance running and the repetitive injuries that hobby delivered. 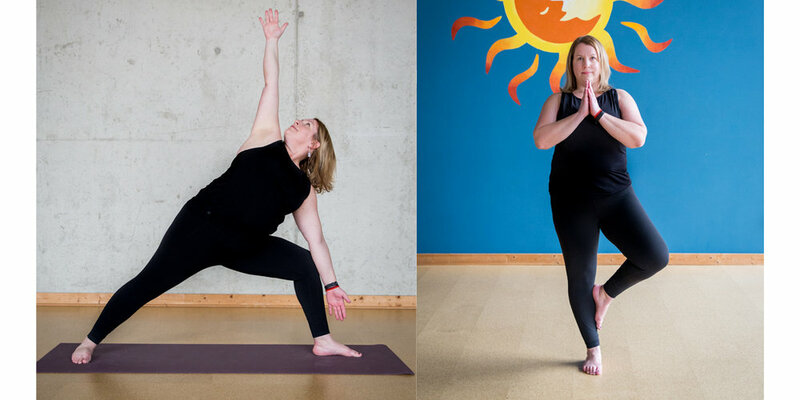 I expected Inner Fire Yoga would be a temporary respite while I recovered from my injuries, and I’d soon leave it behind when I was off and running again. Nevertheless, my practice stuck across the years. I found on my yoga mat something that was missing in other activities in my life – my muscles lengthened, my flexibility increased, and my mind got quieter with every class. Eventually, my Hot Yoga love affair led me to answer the whisper in my brain to try Hot Yoga teacher training early in 2017. My intent was to simply get technically better in practice and to love my yoga practice a little more – not to teach (Never teach! No! I couldn’t!) – but as it turns out, teaching became my new passion. I continued on through Yin Yoga training in Summer of 2017 and ultimately completed my 200-Hour Yoga Teaching Certification through Inner Fire Yoga by the end of that year. As I’ve cultivated my yoga practice and completed my training at Inner Fire Yoga over the last several years, my life has seen its share of peaks and valleys. I’ve found myself bringing both my celebrations and my challenges to my mat, and I look forward to now being part of this team that helps create that consistent, safe space for its students. I continue to practice Hot, Yin, and Vinyasa-based flow yoga to move forward with my own personal, lifelong yoga internship while now also teaching others. I love welcoming new students into my classes! When I’m not at Inner Fire Yoga, you can find me geeking out over energy efficiency or renewable energy projects at my other job as an energy consultant, petting a dog, or planning my next travel adventure.